Hi Everyone! Hope y'all had a fabulous Father's Day! We went out to dinner for Father's Day at one of the wineries in our town. The food was yummy! I ate a fresh salmon dish. I haven't eaten salmon for such a long time. There was a time when I would order it a lot and got really sick of eating it. Too much of a good thing is not always a good thing! LOL! Anyway, when I got home I decided to work on a card. Again, working with my scrap pieces! I'm slowly but surely reducing my scrap pile. I can't wait to use them up!! Nothing much to this card. The sentiment and flower are by K&Co. I'm not sure the brand of the designer papers because it came from my scrap pile and I can't remember who made them. I used my Fiskar scallop scissors to create the scallop borders. 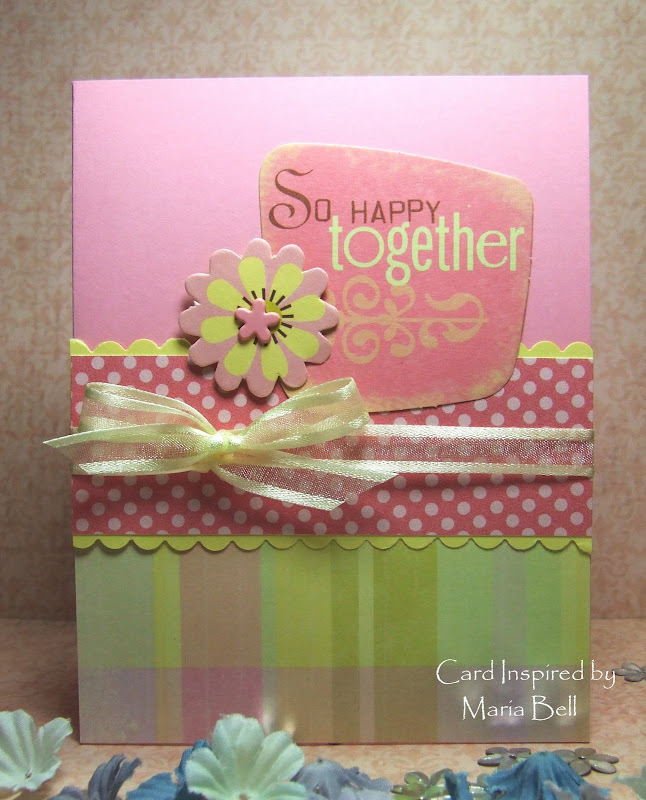 The daisy brad is by Making Memories and the cardstock base is SU Pretty in Pink. I'm hoping that I'll be able to find more time to work on a few more cards tomorrow. Hopefully, nothing comes up that will spoil my plans! Anyway, hope y'all have a wonderful Monday!! I luv this card Maria, It's gorgeous!!! That's beautiful card you made. Simply, soft colours, floral (my favorite!) Will be happy if we exchange links. Thanks! Your card is very pretty Maria!